This is a brief video of M.C. 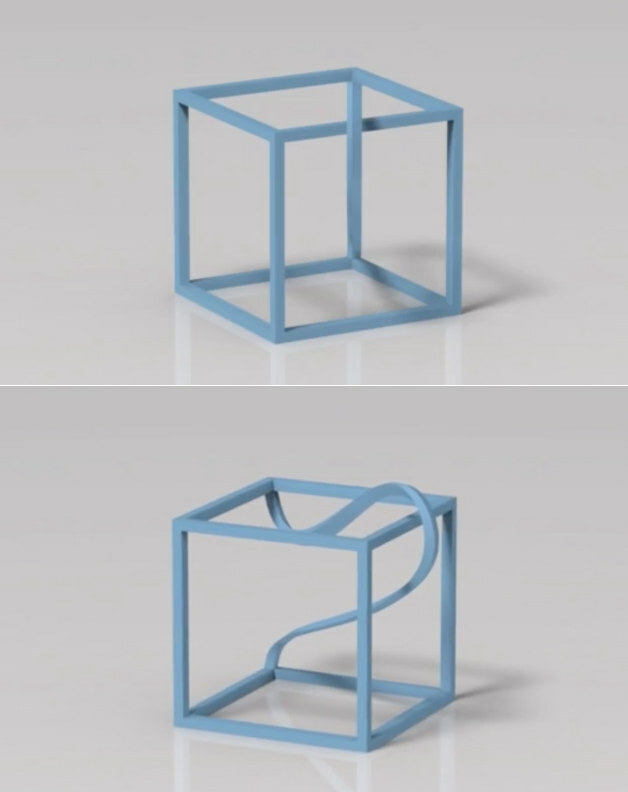 Escher’s ‘Impossible Cube’ modeled and 3-D printed in real life by Pierpaolo Andraghetti. It only looks perfect from this one angle. For any other angle the trick of perspective becomes apparent.